As per prosecutors, in a 'pay-to-stay' scheme, students intentionally enrolled in the fake school to falsely maintain their student visa status and remain in the foreign country. New Delhi: At least 129 Indian students have been arrested by United States authority for enrolling at a fake university allegedly to remain in the US, even as immigration attorneys claimed that the individuals were not aware that the varsity was operating illegally and illegitimately. The Narendra Modi-led Union government is according top priority to the case and is reportedly in touch with the Indian Embassy in Washington and other consulates. 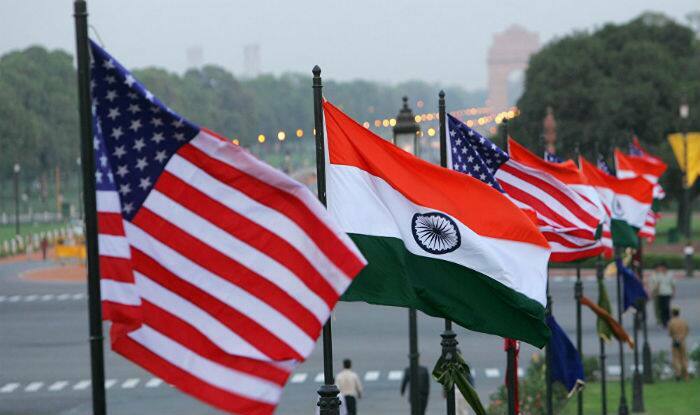 “The government of India, together with our mission in Washington and our consulates in the US are according the highest priority to the situation arising out of the detention of Indian students in the US,” Ministry spokesperson Raveesh Kumar said in response to queries. “As soon as we received information regarding their detention, our mission contacted the State Department and the Department of Homeland Security requesting for a list of the detained students along with relevant identity details, the place of their detention. “We have placed a formal request for consular access, emphasising that the request may be taken as very high priority,” Kumar added. According to federal prosecutors (who announced charges in the case), the university in Detroit’s Farmington Hills was part of an undercover operation by the Department of Homeland Security (DHS), designed to expose immigration fraud. Prosecutors claimed that, in a ‘pay-to-stay’ scheme, students intentionally enrolled in the fake school to falsely maintain their student visa status and remain in the foreign country. Reports claimed that most of the affected students belong to Telengana and Andhra Pradesh. Ravi Mannam, an immigration attorney in Atlanta, said the fake university “hooked these students by promising them credits for their previous master’s programmes”. He said what the University of Farmington was offering – allowing students to work while enrolled – is not unusual. So the students may have thought it was an authorised university and work programme through a type of F-1 visa known as CPT (Curricular Practical Training). Mannam said some Indians had come to the US to enroll elsewhere, only to find that their intended programme had lost accreditation. So they enrolled at the University of Farmington, believing that they could apply their prior credits to the new programme, which seemed to emphasise work experience. Other students had completed legitimate master’s in the US but were waiting to be approved for a specialty work visa, so they enrolled in school as a stopgap measure. “The government utilised very questionable and troubling methods to get these foreign students to join the institution,” Mannam added. The arrests were made across the US, in New Jersey, Atlanta, Houston, Michigan, California, Louisiana, North Carolina and St Louis on Wednesday, the same day federal indictments were unsealed that charged eight people, all of whom are either Indians or Indian-Americans, in a visa fraud scheme. All eight were charged criminally for “conspiracy to commit visa fraud and harbouring aliens for profit.” But the 130 students were arrested only on civil immigration charges, local media reported. The students had immigrated legally to the US on student visas, but had allegedly transferred to the University of Farmington so that they could work, said attorneys. Meanwhile, the Indian embassy in the US has opened a 24/7 hotline to assist 129 Indian students arrested by the American authorities in the “pay-and-stay” university visa scam. The arrested students, their friends and family members can contact the embassy at cons3.washington@mea.gov.in. The Indian embassy has also appointed a nodal officer to handle and coordinate all issues related to helping Indian students affected by the busting of the “pay-and-stay” racket run by a group of Indians that has put some 600 students under trouble.